the main foyer & peek into our client restroom. our second restroom features a rustic desert theme. Our MOVIE SCREEN WHERE WE HAVE MOVIE NIGHTS AND SCREENINGS OF RECENT VIDEO PROJECTS. A nice birds eye view of the back of our shop. 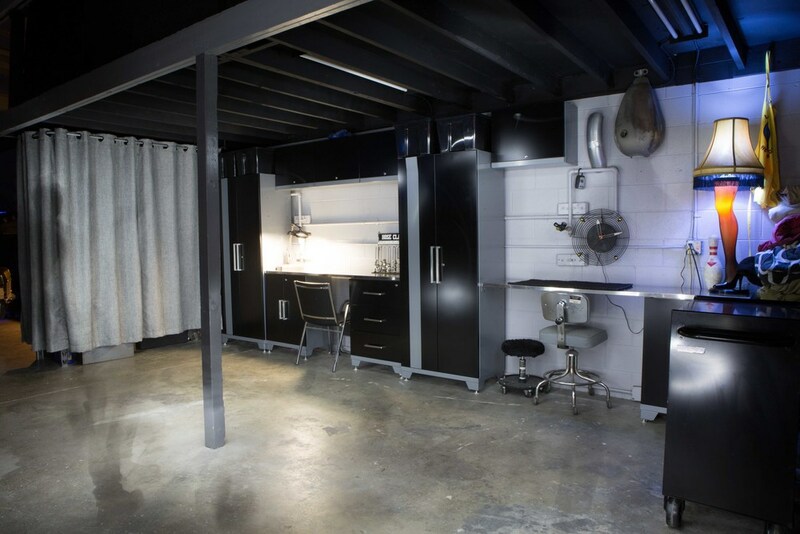 our spray booth where we turn out beautiful paint jobs. - Project Consultation & Planning -Weekend appointments available -Basic rendering to 3D imaging Avail. A view inside our main shop area, fully equipped to bring your design ideas to life.